Sangria and tapas were high on the food bucket list and thanks to Mr. A’s brilliant research, we certainly had more than our share of fresh and delicious seafood. 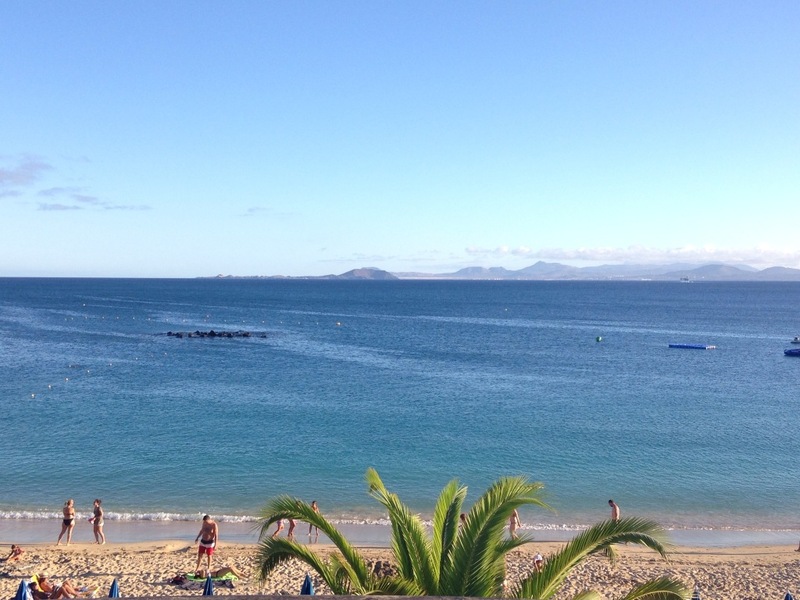 I will focus mainly on tapas for today’s post – here are my favourite spots for tapas in Lanzarote if you ever find yourself on the island! To start, the obligatory sangria at the Dorada Night Beach Bar on Playa Blanca. 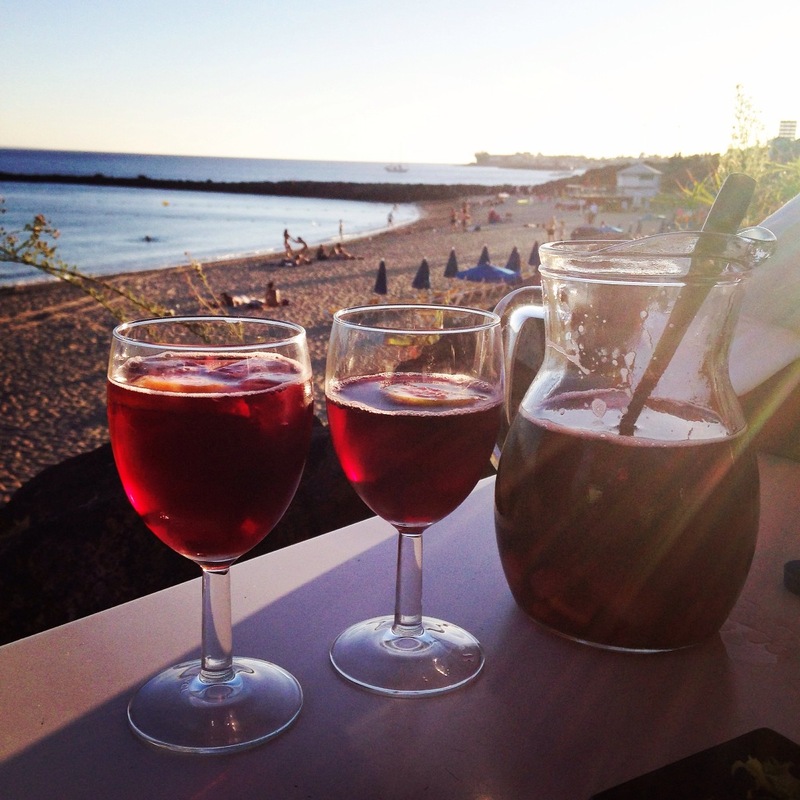 I had to be peeled away from this place – the view and the sangria was simply fabulous. 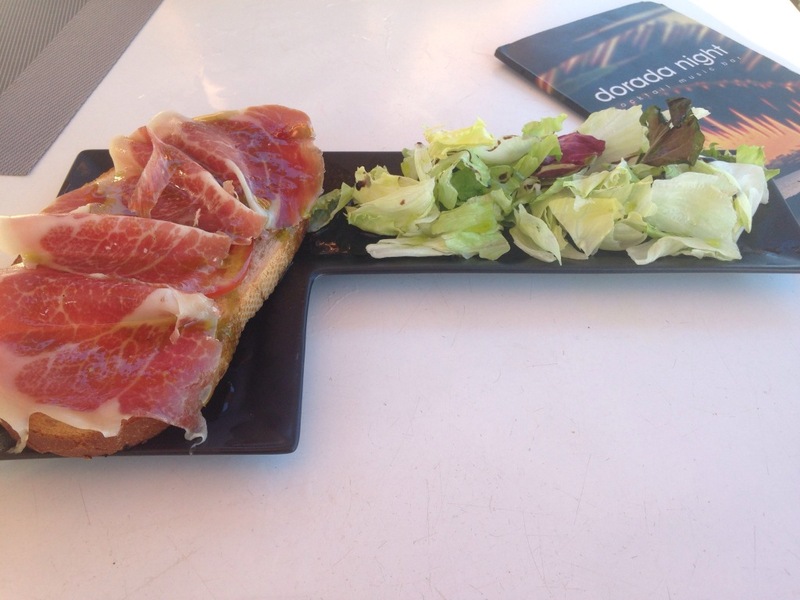 Loved the Iberico ham on toast as well as their croquettas (which for some reason I never took a photo of!!). Great spot for lunch, snacks or a pre-dinner drink while watching the sunset – wish I could go here every evening! 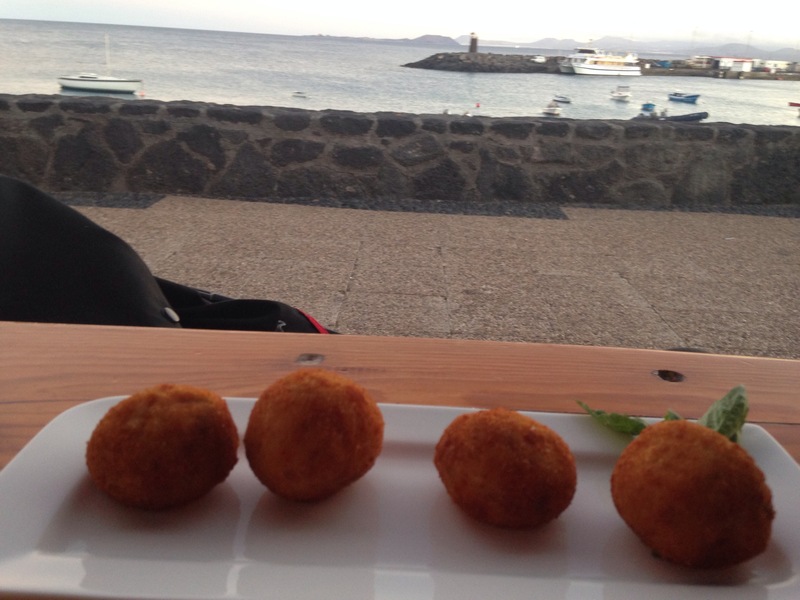 I did remember to take a picture of these croquettas with a view at Bodegon Las Tapas, another lovely spot for food, people and boat watching. 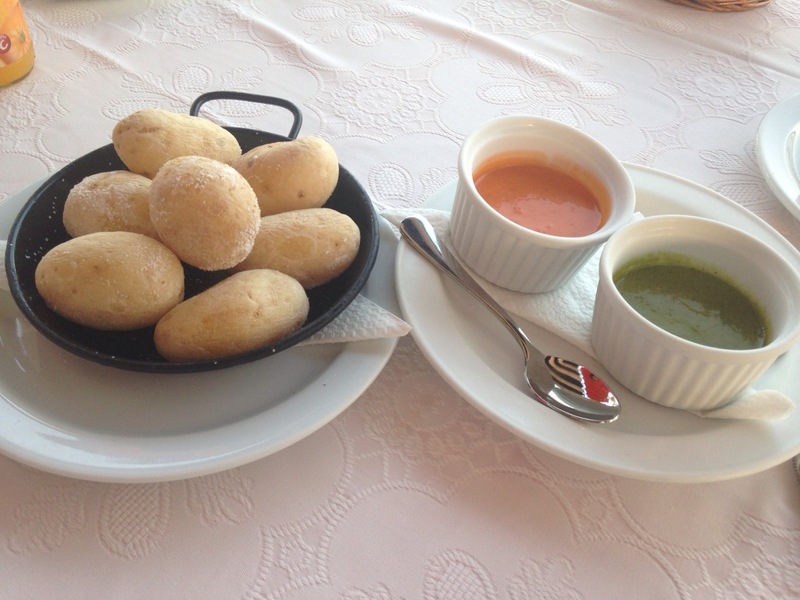 Loved the traditional Canarian tapas of boiled, slightly wrinkled potatoes with mojo sauce at El Olivo, also on Playa Blanca. I brought back some bottled red pepper mojo sauce and look forward to having it again soon – so delicious! 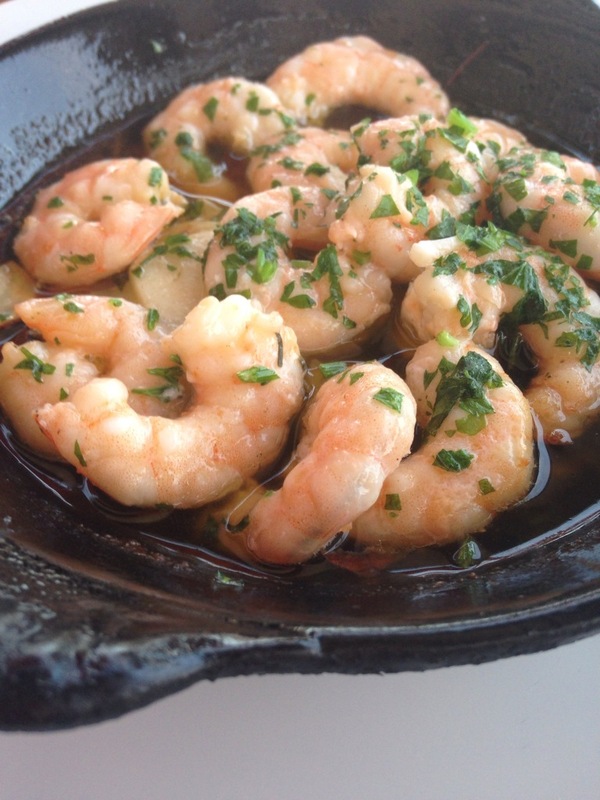 One of my favourite tapas – prawns in garlic, chilli, parsley and olive oil – also at El Olivo. 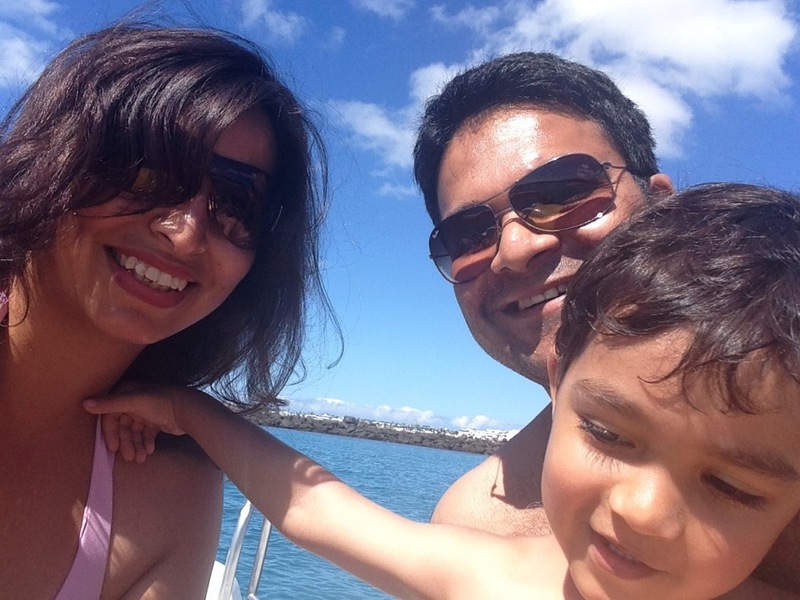 These prawns were a hit with little R too who just couldn’t get enough! One of our best meals was at La Chalanita where we had the freshest and most delicious seafood. 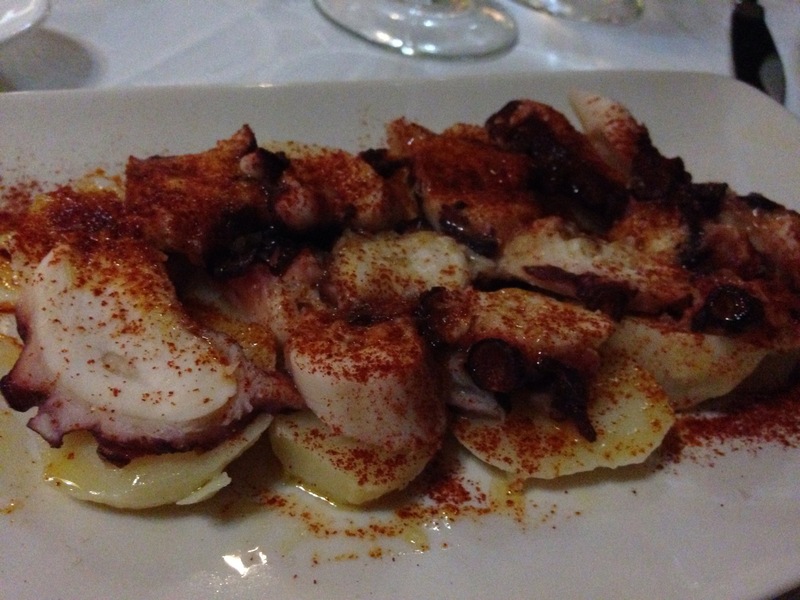 Loved this Pulpo cooked Galician style with boiled potatoes and paprika. Yummy! Lots more good food was had at La Chalanita and other restaurants in Lanzarote. Some more delicious pics to follow on my next post. Missing the Spanish sun, sea and sangria after writing this post but Lemsip it is for tonight. Have a lovely weekend!